Steinhatchee, Florida, is on the Gulf of Mexico at the southern end of State Road 51. The first syllable of this town rhymes with mean as in Mean Joe Green. 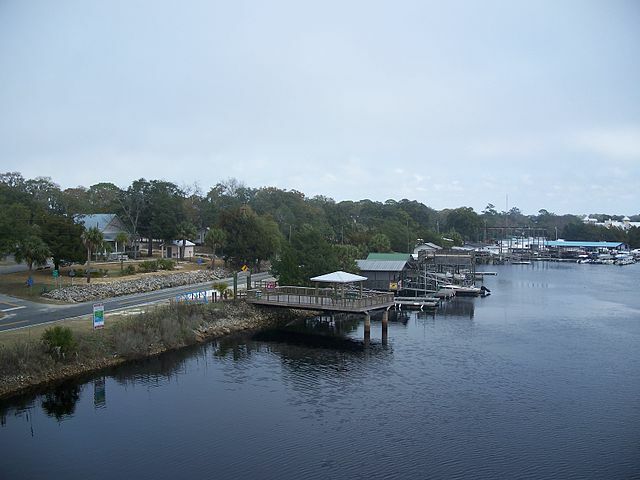 This little fishing village of about 1,000 people is on the north side of the Steinhatchee River. It is about 70 miles west of Gainesville, about 1.5 hours by car. The even smaller village of Jena is across the river from Steinhatchee, and is usually included when folks talk about Steinhatchee; they have a combined post office. Fishing is the big industry in town. Both commercial and sport fishermen find a lot to catch in the waters of the river and gulf. 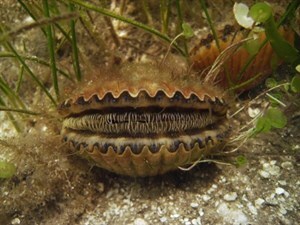 The Gulf shallows are abundant with scallops, stone crabs and blue crabs. People come from all over to snorkel for scallops during the season from July to mid September. The Steinhatchee River is famous for its large population of trout and redfish. The wild land surrounding Steinhatchee and Jena are teeming with alligators, panthers, hogs, turkeys and all kinds of shore birds. Many artists spend time in Steinhatchee to capture images of the Old Florida town and the surrounding wildlife. The town has many Victorian homes along the river, and it is a good walking and biking town. 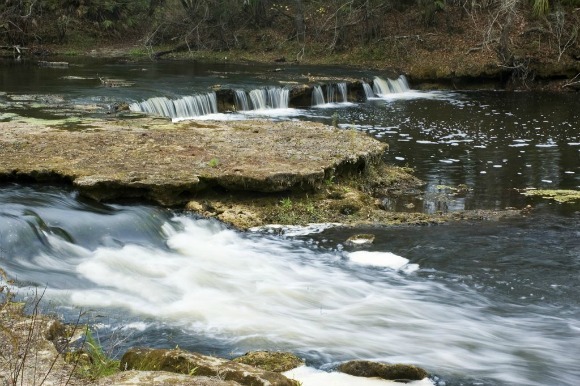 Up the river from the village is Steinhatchee Falls. This can still be visited, and is where General Andrew Jackson supposedly crossed with his army in pursuit of Seminole Indians. It's a good spot for picnics and swimming. 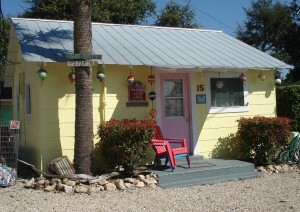 There are a lot of charming Old Florida style places to stay in Steinhatchee. It's a great place to spend a laid back weekend or longer. You can fish, explore, cycle or just chill out. It's a unique place. The food is described as "farm to table", and the food is certainly fresh. The first thing you learn is that breakfast is a popular meal in this establishment. You can get a good old southern breakfast with pancakes or biscuits and gravy. Enjoy eggs and bacon and sausage prepared just the way you like it. As the name implies, seafood is the specialty of the house for lunch and dinner. Many of the entrees are fried but some selections can be prepared any way you want. You can have grouper, flounder, snapper, scallops, stone crab, and soft shelled blue crabs raised on the premises. People love their oyster or shrimp po boys, and the Apple Pie and Jambalaya, Shrimp Alfredo, and other specials also get good reviews. Their blackened grouper is great, and fish is caught in local waters. Most meals are served with grits and fried okra and cole slaw. They have great fish tacos along with all you can eat shrimp or mullet. The landlubbers will love the hamburgers here. Another favorite meal is a grilled cheese sandwich and chili. They even have a lunch special of meatloaf, mixed veggies, with mashed potatoes and gravy. 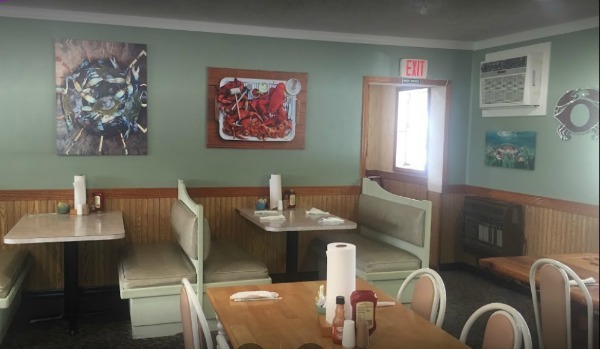 Kathi's Krabs is open for breakfast, lunch and dinner. No alcohol is served in this restaurant. 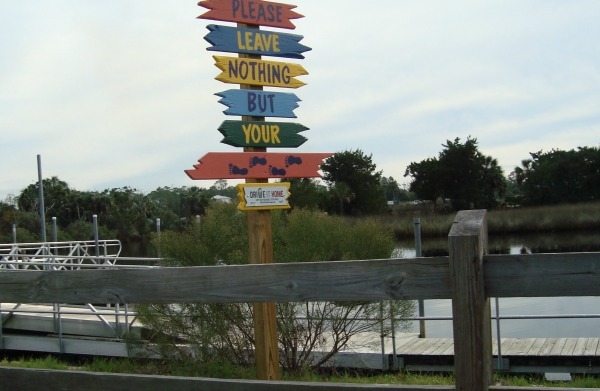 Steinhatchee River Inn, 1111 Riverside Dr, Steinhatchee, FL 32359. 352-498-4049. 17 suites, 6 of them with full kitchens. Close to everything, across the street from the river. 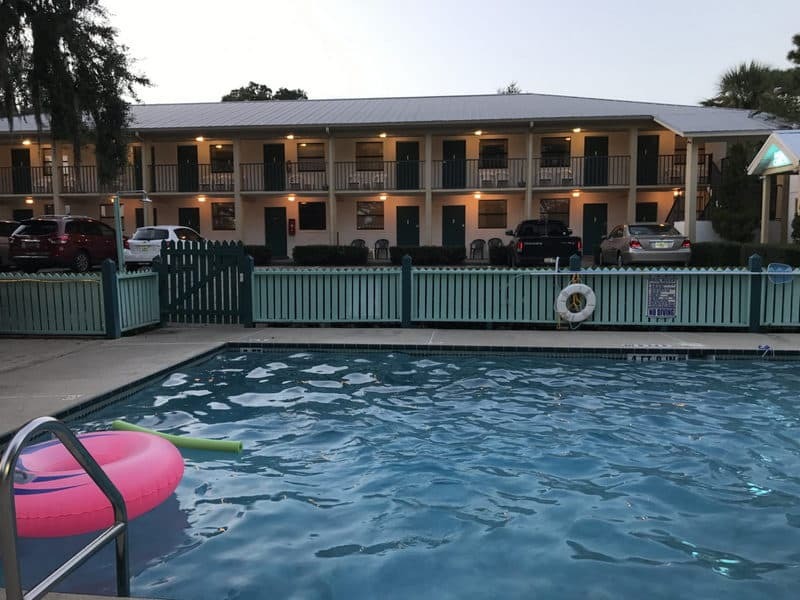 Good Times Motel and Marina, 7022 Hwy 358, Steinhatchee, FL 32359 . 352-498-8088. Standard rooms, kitchenette rooms, cabins and sometimes a boat slip comes with your room. Right on the river. 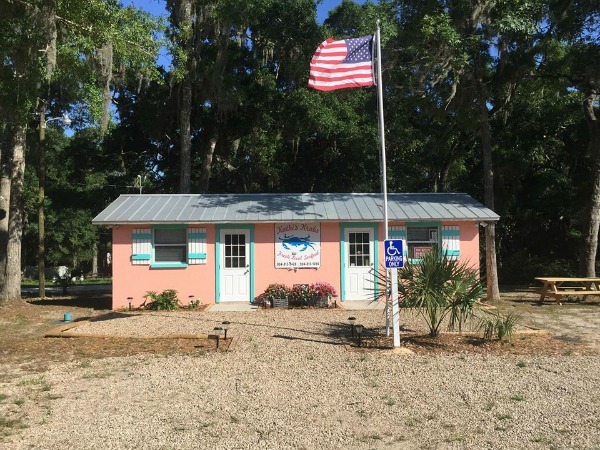 Sea Hag Marina and Cottages, 322 Riverside Drive, Steinhatchee, FL 32359. 352-498-3008 . Five rooms at the marina and a bunch of neat little cottages across the street, most of them named after local fish.